BookTini is all about growth. Our goal is to continue expanding into an organization full of women across the nation who form bonds over cocktails and good stories. 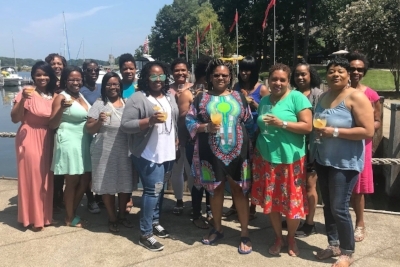 Becoming a BookTini member means having access to all of our monthly Drinks & Discussion events, including our biennial Getting to Happy Retreat. Members can nominate and vote on our reading list, join national committees designed to further our mission, and are eligible to win a physical copy of our Literary Selections in our monthly book lottery. Membership is just $45 each year (a mere $3.75 each month). New members also pay a $25 initiation fee, and receive an official new member packet welcoming them to our literary sisterhood. If you're interested in becoming a member, reach out to a chapter in your area for membership information. Their contact information is below. Each chapter must have at least seven members to charter. Each chapter can have up to 20 members. 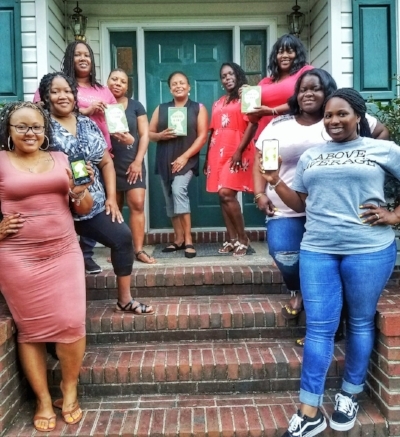 Each chapter is expected to meet every month for Drinks & Discussion. Exception is given during our December Holiday Break month. New chapter charters take place January 15th - June 15th. A $100 charter fee is required for all new chapters. If you have more questions about chartering a new chapter, or want to begin the charter process, please contact us at BookTiniCharter@gmail.com.